â€¦ this is related and VERY disturbing! â€œThis is an issue Virginia needs to consider for the health of women of all ages, the health of our infants and the fiscal well-being of our commonwealth,â€� he said. Northam also made a focused pitch for taxpayers to pick up the tab since IUDs and LARCs are far more expensive than oral contraceptives. â€œAs a physician and a policymaker, I believe all Virginia women should be informed about and have access to all possible reproductive health-care options so they can make the best decisions for their families,â€� he wrote. Danish researchers said oral contraceptives â€˜may mask a severely diminished ovarian reserve.â€™ They also found that women on the Pill also had smaller ovaries than those who did not take birth control pills. Growing concern over fertility and the controversy of preserving it has inspired a Danish research team to assess what, exactly, drains a woman's ovarian reserves, and they concluded that the oral contraceptive pill could be a major culprit, at least temporarily. Ovarian reserve is a measure of the ovary's capacity to produce fertile oocytes (egg cells). Modern science assesses it via two measures: levels of anti-Mullerian hormone (AMH) in the blood and the number of early (antral) follicles in the ovary. 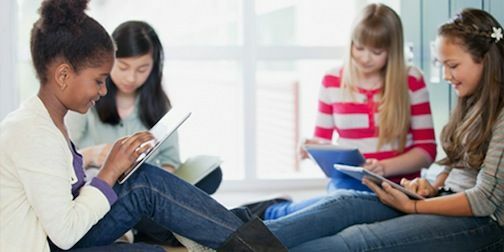 Researchers tested 833 women between the ages of 19 and 46 and found the AFC measurements 16 percent lower in pill users and AMH levels down 19 percent. An unexpected additional finding was that pill users' ovaries were between 29 and 52 percent smaller than those of non-pill users, particularly in the youngest of the subjects, between the ages of 19 and 29.9.
additional research is necessary to better understand the recovery phase after women stop taking the Pill. Taking birth control pills may make women's eggs "look old" in a sense, at least based on two tests of fertility, a new study has found. The birth control pill significantly affects ovarian reserveâ€” or the number of immature eggs in a womanâ€™s ovariesâ€” which can be a predictor of future fertility. This is according to a team in Denmark, who reported to the European Society of Human Reproduction and Embryology annual meeting last month that two markers for the ovarian reserve are markedly suppressed after prolonged birth control pill use: the levels of anti-Mullerian hormone (AMH) in the blood, and the number of early (antral) follicles (AFC) in the ovary. Ovaries are also markedly shrunken after prolonged pill use. Twelve studies indicate abortion cause of breast cancer. Odds Ratio for these twelve studies is 5.54. That means that the breast cancer risk for Indian women who have had prior abortions is five and a half times that of women who have not. Another way to put it is that you have a 554% increased risk of developing breast cancer if you have had a prior induced abortion. â€¦ great article â€¦ PLEASE read! Where would you send your little sister? 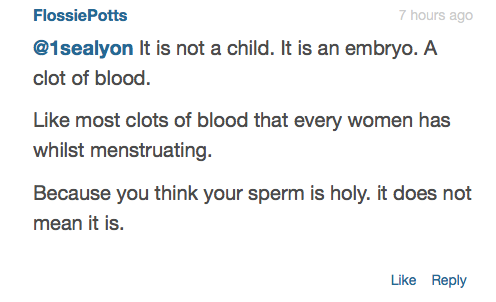 I remember the first time I drove past an abortion clinic. Brown, dirt-covered walls, cracks in the pavement, weeds growing up the side of the building â€” it was not a pretty sight. I could not help but wonder what the inside looked liked, and I questioned how anyone would trust the occupants of such an unkempt building to perform a surgical procedure on them. Staff and patients alike exited from their carsâ€”heads downâ€”rushing to the door. This particular clinic had its door locked at all times, so all who entered had to push a poorly located buzzer (that many of them could not find) and stand and wait until a staff member unlocked the door for them. Right in line with their unhygienic outward appearances, the insides of many clinics are often even worse. In 2013, multiple abortion clinics in my home state of Ohio were closed for unsanitary conditions. The Columbus Dispatch reports â€œhealth inspectors turned up severalâ€¦ violations, including failure to combat possible infections and to keep operating-room equipmentâ€”some of which had rust and moldâ€”clean and safe, blank prescription forms already signed by a doctor, IV bags full of expired medicineâ€� at a clinic in Toledo, Ohio. Then near Akron they found â€œthe facilityâ€™s state license to dispense drugs had expired the year before and its federal license a year before that. The date on its bottle of disinfectant was more than a year old, some patientsâ€™ vital signs were not checked before a procedure, informed consent was not obtained from some of the patients, drugs were improperly stored and administeredâ€¦â€� Rust and mold in the operating room? Expired medication? Blank prescription forms so that anyone could steal them and write their own prescription or any clinic employee could prescribe medication? I am glad both these clinics were forced to close. Also in 2013 Philadelphia abortionist Dr. Kermit Gosnell was found guilty of twenty-one counts of abortion at gestational ages past the legal limit outside of a hospital. Under-qualified staff members, â€œincluding a teenage high school studentâ€¦ made diagnoses, performed procedures and administered drugs.â€� I wonder how much profit he was able to make hiring staff without medical training? Women do have choices when facing an unplanned pregnancy. Once the news of pregnancy is processed, women have the option of calling a crisis pregnancy center or an abortion clinic. One call will lead to an organization seeking their next paycheckâ€“an industry with failed health inspections, under-qualified employees, and women dying. The other will lead to a not-for-profit organization, one established to help women look at all of their options with no financial gain or risk. Where would you send your little sister? I know where I would send mine. â€¦ next installment from CMP â€¦ so sad. than $100 million in revenue from abortions alone. LOS ANGELES, Aug. 19--The third episode in a new documentary web series and 7th video on Planned Parenthoodâ€™s supply of aborted fetal tissue tells a former procurement technicianâ€™s harrowing story of harvesting an intact brain from a late-term male fetus whose heart was still beating after the abortion. The series focuses on the personal narrative of Holly Oâ€™Donnell, a former Blood and Tissue Procurement Technician for StemExpress, a biotech start-up that until last week was partnered with two large northern California Planned Parenthood affiliates to purchase their aborted fetus parts and resell them for scientific experimentation. Oâ€™Donnell also tells how her StemExpress supervisor instructed her to cut through the face of the fetus in order to get the brain. â€œâ€œShe gave me the scissors and told me that I had to cut down the middle of the face. I canâ€™t even describe what that feels like,â€� she says. The House Oversight Committee on Friday penned a letter to Planned Parenthood president Cecile Richards requesting seven documents or pieces of information be handed over by next week. The letter, authored by Reps. Jason Chaffetz (R-Utah) and Jim Jordan (R-Ohio), noted the series of recent undercover sting videos that purport to show the abortion provider engaging in the sale of aborted fetal parts. â€¦ The House Oversight Committee also sent a similar letter to U.S. Department of Health and Human Services Secretary Sylvia Matthews Burewell. â€œDo not include services or procedures that could otherwise be provided by a private health care provider,â€� the letter added. 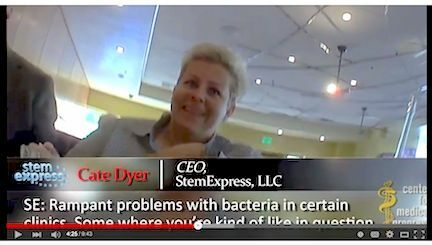 Los Angeles Superior Court Judge Joanne O'Donnell ruled on Friday afternoon the Center for Medical Progress has First Amendment rights to release videos it covertly took of StemExpress executives talking about buying aborted baby tissue from Planed Parenthood. Almost immediately afterwards, CMP released a new video that among other thing showed the StemExpress CEO Joking about receiving entire dead babies from Planned Parenthood (over lunch). â€œOh yeah, if you have intact cases â€” which weâ€™ve done a lot â€” we sometimes ship those back to our lab in its entirety,â€� she says. â€œTell the lab its coming,â€� she laughs about the intact unborn babies. â€œThey donâ€™t want to open the box and go â€˜Oh my God! 'â€� Dyer adds. "We are joined at the ‪#‎protestpp‬ event by Catholics, Protestants, and Atheists." "@AlvedaCKing joins #ProtestPP in Marietta Ga ‪#‎DeFunddPP‬"
"Final count 1600 ‪#‎prolife‬ ppl at #protestpp in Aurora IL"
"Probably 600 or so protesting in Lincoln, Nebraska. Stretch of about 1/4 mile." "Side streets clogged at #ProtestPP in Houston." is out this morning â€¦ sick & disgusting. StemExpress is a for-profit biotech supply company that has been partnered with Planned Parenthood clinics across the country to purchase human fetal parts since its founding in 2010. StemExpressâ€™ Medical Director, Dr. Ronald Berman, is an abortion doctor for Planned Parenthood Mar Monte. â€œSo many physicians are like, â€˜Oh I can totally procure tissue,â€™ and they canâ€™t,â€� expresses Dyer, seeming to indicate that abortion doctors must do the procedure in a special way to obtain useable fetal parts. Federal law requires that no alteration in the timing or method of abortion be done for the purposes of fetal tissue collection (42 U.S.C. 289g-1). 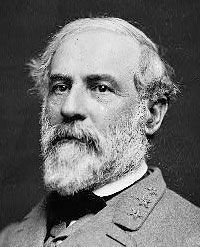 cannot be relied upon for any official inquiries." "Planned Parenthood's desperate, 11th-hour attempt to pay their hand-picked 'experts' to distract from the crimes documented on video is a complete failure. The absence of bathroom breaks and waiting periods between meetings does not change the hours of dialogue with top-level Planned Parenthood executives eager to manipulate abortion procedures to get high-quality baby parts for financially profitable sale. "While even Planned Parenthood's 'experts' found 'no evidence of audio manipulation' in the recordings, it is telling that Planned Parenthood is trying so hard to pretend that their staff did not refer to a dismembered fetus as 'a baby' and 'another boy.'" That seems to have changed profoundly because Dyer now charges that ABR pays an â€œadvisor feeâ€� to abortion clinic board members in order to have exclusive access to aborted fetal baby parts. Moreover, according to documents provided by the Center for Medical Progress, ABR now pays $340 per second trimester specimen. A who's-who grouping of the world's most prominent minds has signed onto a letter urging robotics researchers to be extremely cautious in developing artificial intelligence (AI) technology, warning that an inevitable military AI arms race could (and likely will) unfold, leading to "a third revolution in warfare." Apple co-founder Steve Wozniak, Tesla's Elon Musk, scientist Stephen Hawking and more than 1,000 others, presenting at the recent International Joint Conference on Artificial Intelligence in Argentina, obviously see the writing on the wall: If AI technologies continue to develop unabated, they say, autonomous weapons systems that operate without human input will eventually commit atrocities like mass genocide and ethnic cleansing campaigns. "Artificial Intelligence (AI) technology has reached a point where the deployment of such systems is -- practically if not legally -- feasible within years, not decades, and the stakes are high: autonomous weapons have been described as the third revolution in warfare, after gunpowder and nuclear arms," their letter reads. "It will only be a matter of time until they appear on the black market and in the hands of terrorists, dictators wishing to better control their populace, warlords wishing to perpetrate ethnic cleansing, etc. Autonomous weapons are ideal for tasks such as assassinations, destabilizing nations, subduing populations and selectively killing a particular ethnic group." Will AI robots help or hurt humans? AI robot technology is already being used to perform unskilled labor and other mundane tasks that humans would rather not have to do themselves. Automated pesticide drones have now received Federal Aviation Administration (FAA) approval for use in the spraying of genetically-modified (GM) and other chemical-reliant food crops, for instance. Experiments have also been conducted on AI robots capable of planting, watering, and caring for plants without human intervention. This segment of AI development claims to be working "for" humanity rather than "against" it. But AI as a whole remains an existential threat to human subsistence, these men and their colleagues warn. The endpoint of where AI technology is headed looks grim, at least on its current trajectory. The unmitigated endeavors of AI programmers and visionaries must be reigned in to prevent the full-scale annihilation of human civilization. 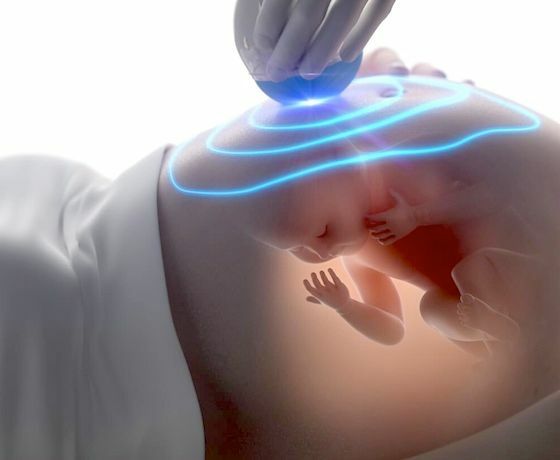 Will AI robots be used to perform 'less crunchy' partial-birth abortions for Planned Parenthood? The first signs of this impending "robot apocalypse" were seen earlier this year at a Volkswagen assembly plant in Germany, where a "smart" robot with AI-like abilities grabbed a factory worker, threw him up against a wall, and inflicted such severe injuries that the man later died at the hospital. If a process like auto assembly can be successfully performed by advanced AI robots (along with the occasional human killing), there's no telling what else these machines could be programmed to "learn" how to do. The recent Planned Parenthood scandal is a perfect example of how AI robots might be used in the future to perform "less crunchy" partial-birth abortions in order to maximize the profits made from illegally selling aborted baby body parts and even whole, fully-intact dead babies to biotech companies. IBM appears to be leading the way in this field with the development of complex AI software that the company says will one day have the capacity to identify diseases like cancer and heart disease without human input. The machinery would be tasked with "studying" hordes of medical data in order to interpret digital medical images and make automated diagnoses of patients. 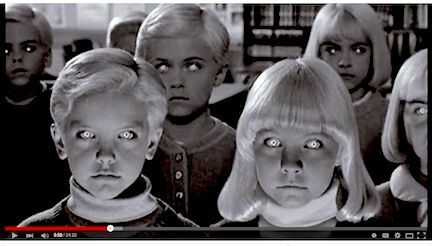 Satanic Baby Sacrifice in a RENSE interview! an investigation into its sales of aborted babies. The House voted 241 to 187 for the bill with 239 Republicans voting for the bill to defund the Planned Parenthood abortion business and 3 Democrats joining them. Three Republicans voted against the defunding bill while 183 Democrats voted against it. Republican Steve King of Iowa vote present. The decades-long campaign by pro-lifers to teach Americans about Planned Parenthood seems to be having the desired effect; Planned Parenthoodâ€™s poll numbers are declining. A Quinnipiac poll shows that Planned Parenthood is no longer as widely loved as the abortion giant was back in the 1990s. The Washington Post reports that in 1989, the Gallup poll found 89% of Americans who knew of Planned Parenthood viewed the group positively. Those are numbers even the most wildly popular president would envy. According to Quinnipiac, that number had dropped to 55% as of February 2012 and dropped even further to 46% this past August. A poll in September showed Planned Parenthoodâ€™s favorables dropped an additional 3 percentage points. As for negatives, those are rising rapidly from 22% in 2012 to 30% in August and 38% in September. Hearings into Planned Parenthood continue this week. The House Committee on the Judiciary will look into charges that Planned Parenthood affiliates have criminally overcharged the government for Medicaid reimbursement. A teenager is threatening to sue his high school principal over the claim that he was banned from hanging pro-life posters, charging that his First Amendment rights have been restricted. 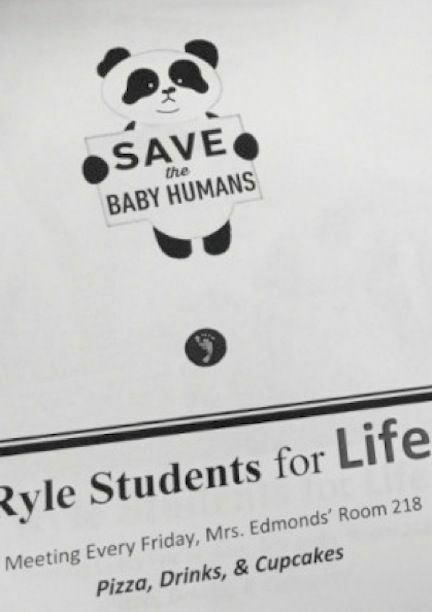 Patrick Edwards, 18, a student at Ryle High School in Union Kentucky, has appealed to attorneys for assistance over the claim that Principal Matthew Turner censored his â€œStudents for Lifeâ€� club by reportedly not allowing the display of six posters, WXIX-TV reported. the display of the pro-life posters. DR. SUSAN BERRY 21 Jan 2016 Washington D.C. 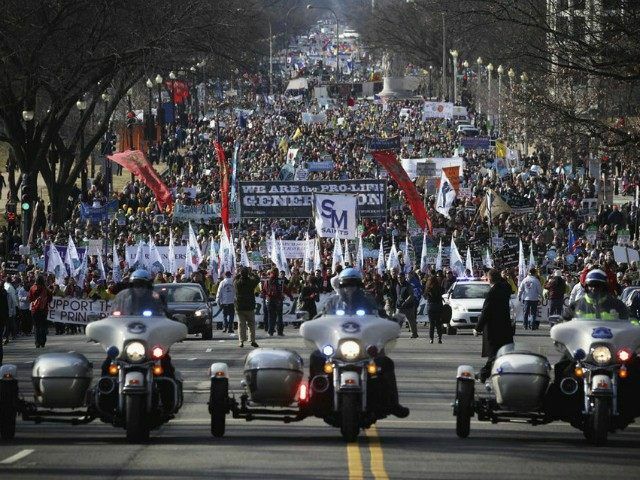 The March for Life 2016 is on Friday â€” even in a blizzard. The marchâ€™s social media campaign â€” #WhyWeMarch â€” provides a glimpse of how the pro-life movement and the choice for life has made a difference in the lives of thousands of men and women. â€œThe truth will continue to come out through the congressional probe, through the ongoing state investigations and through the frivolous lawsuit Planned Parenthood now brings in retaliation for its exposure,â€� he added. Annise Danette Parker (born May 17, 1956) is an American politician, who was Mayor of Houston, Texas from 2010 until 2016. She also served as an at-large member of the Houston City Council from 1998 to 2003 and city controller from 2004 to 2010. Parker was Houston's second female mayor (after Kathy Whitmire), and one of the first openly gay mayors of a major U.S. city, with Houston being the most populous U.S. city to elect an openly gay mayor. In 1986 and 1987, she was president of the Houston GLBT Political Caucus. The city of Houston has issued subpoenas demanding a group of pastors turn over any sermons dealing with homosexuality, gender identity or Annise Parker, the cityâ€™s first openly lesbian mayor. And those ministers who fail to comply could be held in contempt of court. A Houston jury investigating alleged misconduct by Planned Parenthood declined to charge the womenâ€™s health provider, announcing instead felony charges for the leaders of the anti-abortion organization that targeted Planned Parenthood with its widely debunked series of â€œstingâ€� videos in 2015. The grand jury said they did not find evidence of illegal activity on the part of Planned Parenthood after reviewing the covert videos meant to misleadingly implicate the womenâ€™s health provider in the illegal trafficking of fetal tissue. Texas Lt. Governor Dan Patrick ordered an investigation of the nationâ€™s largest womenâ€™s health care provider in August, following suit with a host of conservative state lawmakers. Despite the decision by the grand jury to absolve Planned Parenthood of any wrongdoing, Texas Governor Greg Abbott released a statement doubling down on the stateâ€™s efforts to investigate the organization. to the elderly and provides for their needs. The Supreme Court will hear oral argument Wednesday in the Little Sisters of the Poorâ€™s legal challenge to the Obamacare mandate that non-church religious groups provide contraceptive and abortion-inducing drugs and devices at no cost to their employees. An appeals court ruled against Little Sisters last year and upheld the so-called â€œabortion pill mandateâ€� contained in President Obamaâ€™s signature health reform law. The Little Sisters are a 175-year-old religious order who have vowed to care for the elderly poor. The Little Sisters have asked the Supreme Court for protection from a government mandate that already exempts one in three Americans, large corporations like Chevron, Exxon, and Pepsi and the U.S. military. 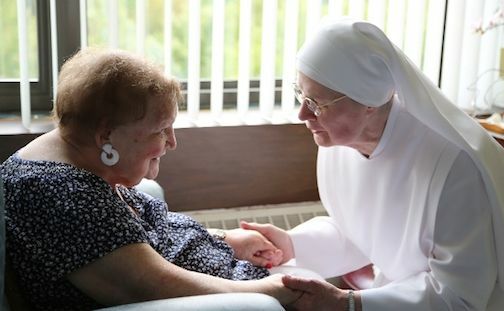 â€œThe High Court must decide whether the government can force the Little Sisters of the Poor to comply with this mandate and provide services that violate their faith even though these services can easily be obtained through the governmentâ€™s own exchanges,â€� said a statement from the Becket Fund, which is representing the Little Sisters. Officials with the office of Attorney General Kamala Harris of California seized the videos and personal materials used by pro-life activist David Daleiden to accuse Planned Parenthood of selling fetal tissues. Daleiden, in a Facebook post, called the seizure â€œan attack on citizen journalism,â€� and vowed his Center for Medical Progress organization â€œwill pursue all remedies to vindicate our First Amendment rights,â€� he wrote. 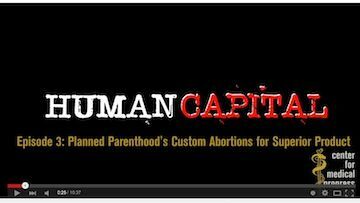 CMP has released about a dozen videos in the last nine months that show hidden camera discussions with Planned Parenthood officials discussing the sale and disposal of aborted baby parts, as WND has previously reported. â€œThe California Attorney Generalâ€™s office of Kamala Harris, who was elected with tens of thousands of dollars from taxpayer-funded Planned Parenthood, seized all video footage showing Planned Parenthoodâ€™s criminal trade in aborted baby parts, in addition to my personal information,â€� he wrote. While she was an Alameda County Deputy District Attorney in the 1990s, she dated Willie Brown, the powerful Speaker of the California State Assembly. There was speculation the two would marry, but Brown broke up with her shortly after being elected Mayor of San Francisco. Today, the California Attorney Generalâ€™s office of Kamala Harris, who was elected with tens of thousands of dollars from taxpayer-funded Planned Parenthood, seized all video footage showing Planned Parenthoodâ€™s criminal trade in aborted baby parts, in addition to my personal information. Ironically, while seizing my First Amendment work product, they ignored documents showing the illicit scheme between StemExpress and Planned Parenthood. This is no surpriseâ€“Planned Parenthoodâ€™s bought-and-paid-for AG has steadfastly refused to enforce the law against the baby body parts traffickers in our state, or even investigate themâ€“while at the same time doing their bidding to harass and intimidate citizen journalists. We will pursue all remedies to vindicate our First Amendment rights. time, after capturing the astonishing â€˜fireworksâ€™ on film. A survey shows that a four-minute medical animation video of what happens during an abortion leads over a third of â€œpro-choiceâ€� women to view abortion â€œless favorably.â€� Pro-life organization Live Actionâ€™s â€œman-on-the-streetâ€� video below shows people watching a medical animation video of a Dilatation & Evacuation surgical Abortion Procedures video, narrated by former abortionist Dr. Anthony Levatino. ... Hillary Rob-'em Clinton @PLANNED MURDER ... makes me sick. One day after the Supreme Court struck down abortion-clinic regulations in Texas, the justices now refuse to hear a case challenging a Washington state law mandating that pharmacies dispense abortion-inducing drugs, a move that one pro-life leader says is the latest efforts by liberals to criminalize opposition to their agenda. On Tuesday, the court announced it would not hear an appeal in the case of Stormans Inc. v. Wiesman. A district court struck down the Washington regulations, but the Ninth U.S. Circuit Court of Appeals reversed that ruling, and the law will now stand indefinitely as a result of the Supreme Courtâ€™s refusal to hear the case. Stormans Inc. refers to the Christian family that operates Ralphâ€™s Thriftway, a grocery store and pharmacy in the state capital of Olympia. The Stormans refuse to sell abortion-inducing drugs, commonly referred to as the morning-after pill or even some that are taken a longer time after possible conception. Reports say the Stormans are willing to refer customers to other pharmacies for the drugs, and there are dozens of other pharmacies within five miles of Ralphâ€™s Thriftway. particularly for low-income women who use Medicaid." Planned Parenthood president Cecile Richards: â€œWe also applaud the platform for affirming Planned Parenthoodâ€™s critical role in communities in the face of unprecedented attacks on reproductive health at the state and congressional levels, and the recognition that reproductive healthcare is core healthcare for women, men, and young people,â€� she added. The center released a statement on the one-year anniversary noting the impact of its work. prosecution by the Texas Attorney General. The announcement comes following an investigation by the panel into the question of whether abortion facilities profit from the sale of the body parts of aborted babies. Our Panel was tasked with investigating areas that, prior to the revelations of undercover journalists, received too little attention. For most of us, it is nothing short of an outrage that Planned Parenthood and other abortion clinics supplement their budgets by selling human fetal tissue from aborted babies. The House charged members of this Panel with investigating fetal tissue trafficking, second- and third-trimester abortion practices, the standard of care for infants who survive abortions, and the role played by our taxpayer dollars in this sector of society. Over the last year, we have held hearings that explored the bioethics surrounding fetal tissue use and that revealed the sobering reality of how some bad actors seek to profit from the sale of fetal tissue in violation of federal law. National pro-life leaders responded to the referral of the Planned Parenthood affiliate in Texas for prosecution. At least itâ€™s been a good year to talk about abortion. Itâ€™s been such a terrible year for women in so many ways, itâ€™s difficult to see the places progress has been made. But no matter how difficult our (mostly male) conservative overlords try to make it, the fact remains that abortion is a constitutional right and a routine procedure that well over half a million real American women undergo a year. And more fictional ones than ever. The Supreme Courtâ€™s Roe v. Wade decision is now almost old enough to be in menopause, but until recently, prime time television has still had a skittish relationship with reproductive choice. Pregnancy storylines have tended to end in either conveniently well-timed miscarriages or shark-jumping babies. But in 2016, that changed. Here are our TVâ€™s best abortion moments of the year. Planned Parenthood has received more than 300,000 donations in the six weeks since the election, 40 times its normal rate. Planned Parenthood has received more than 300,000 donations in the six weeks since the election, 40 times its normal rate. Around half the donors were millennials and 70% had never given to the family planning organization before, a spokesman told the Guardian.